Do you love grass, but you’re wondering if it’s worth all the effort? Synthetic Turf International (STI) provides a wide array of turf options and is well-known in the athletic, business, and residential worlds for its beautiful product. As official partners with STI, Mountain West Landscaping has access to world-class artificial turf that can transform any space into whatever your vision may be. If you think that artificial turf comes in one form, you would be wrong! Artificial turf comes in many different pile lengths and toughness levels, and when you pair its verdant color with its ability to drain water, it becomes the ultimate indoor/outdoor solution. The possibilities are truly endless, and this is especially true in Castle Rock, an area full of active people who enjoy being active all year long, despite the Colorado snow. Here are just a few of the ways that synthetic turf can make life that much better for you, your business, or your family. Colorado is one of the most active states in the country, which means that if there’s a sport, we do it! Our turf takes quite a beating, and dealing with tufts of grass, mud, and dust isn’t just inconvenient; it can be dangerous, too. Even worse, trying to keep turf healthy all season long means paying for water, mowing, fertilizing, and more. Artificial turf from STI eliminates all issues and leaves you with a beautiful, tough surface perfect for a wide variety of sports. It also comes in a wide variety of colors, freeing you up to lay down lines and integrate graphics. Castle Rock boasts a very sunny climate, which makes it the perfect home for people (and pets) who appreciate the great outdoors. 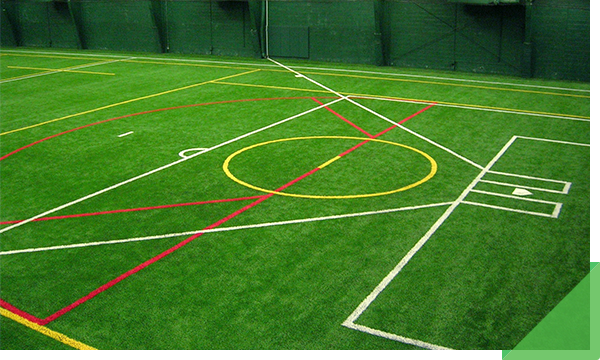 Artificial turf is the perfect foundation for any recreational, fun space, whether it’s a playground, a doggy daycare, an indoor golf course, or a bocce court at a brewery. There’s nothing better than enjoying a brew with a bunch of friends and playing croquet or bocce as the sun goes down. Thanks to artificial turf, you don’t have to worry about your bocce ball court or croquet turf getting too lumpy to enjoy. Instead, you can enjoy them all year long, including those odd Colorado days in winter when the temperature goes up and it feels like it’s a completely different season! 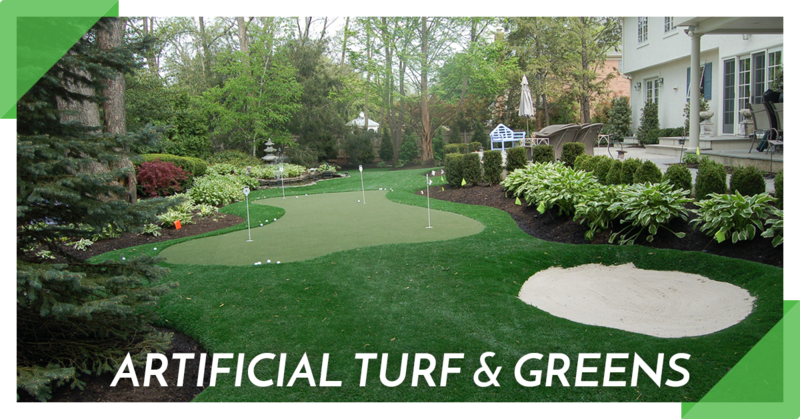 Whether you want to be able to keep your game updated all year long, you’re starting an indoor golf business, or you’re making the most epic game room of all time, Mountain West Landscaping can make your dreams come true with artificial turf. You may have a preschool and want to provide your students with a safe, comfortable recess environment. You may be a parent who wants to invest in your child’s college fund instead of paying for endless watering and mowing services. This is where SoftLawn® artificial turf is your answer. This soft, durable turf comes in multiple pile lengths and is made to be a gentle surface ready for all kinds of fun! Tired of dealing with dead spots on your lawn thanks to your dog? Do you run a doggy daycare and you’re tired of washing your canine guests every time they play outside? You need SoftLawn® for pets. This version of SoftLawn® is soft yet cut short in order to make cleanup effortless. Your clients will be impressed and their dogs will have a great time without building up grass stains and mud! Keeping natural grass beautiful is not just time-consuming; it’s expensive, too. Castle Rock’s climate is dry and hot during the summer, and water rationing can be pretty common, which makes turf maintenance even harder. 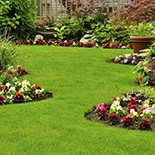 It can be very frustrating to watch your lawn slowly die because you can’t give it enough water. A dead lawn can be pretty impactful for businesses in particular. Here’s the great news: thanks to artificial turf, you won’t have to deal with that situation again! 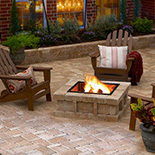 Natural grass between pavers delivers a stunning effect, but grass tends to die, grow too long, and let weeds through. Most times, it’s just not worth the effort, especially in sunny locations. This is where artificial turf really shines. It stays the same length, the same color, and keeps weeds at bay while efficiently draining water. Incorporating plants into architecture is a fantastic way to give your building a beautiful edge. However, installing a lawn on your roof leads to a bunch of weight and water concerns, especially because you have to install enough soil. Soil is heavy, and water-logged soil is even heavier. Instead of dealing with all of these risks, let us install lightweight artificial turf that won’t affect your roof’s drainage and look beautiful all year long. The Sky’s the Limit in Castle Rock, Parker, and surrounding areas! Artificial turf offers the perfect combination of beauty, practicality, and convenience. It’s come a long way from its beginnings, and Mountain West Landscaping is proud to offer the leading brand. We can’t wait to sit down with you and discuss the possibilities — we’re always open to new and creative ideas. As with any product, our commitment to excellence applies to every aspect of our work. 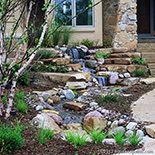 Making the design and installation process as inspiring and enjoyable is a goal of Mountain West Landscaping. Contact us in Castle Rock to learn more!